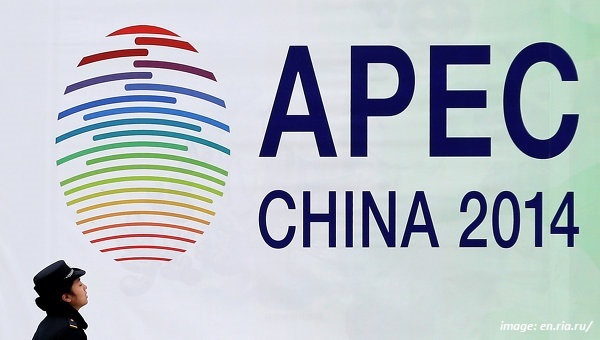 The recent Asia Pacific Economic Cooperation (APEC) meeting in Beijing has once again highlighted the United States’ fervor for grandstanding acts of stealing the spotlight away from its rivals, or at least halting the advances of emerging economies and political powers beyond the Western hemisphere, whether it be at home or abroad. Just a day before the APEC summit, US President Obama gathered participants to the US-led but China-excluded Trans Pacific Partnership (TPP) held in the US embassy in Beijing. The TPP is essentially a regional trade agreement that aims to undermine China’s own Free Trade Area of the Asia Pacific, which is a broader framework for bringing closer integration of Asian economies. As the United States’ economic and military influence further erodes, the vacuum it is creating is more and more being filled by emerging powers consisting of China, Russia, Indian, and Brazil, which together in July 2014, account for roughly 20% of the world’s economy based on GDP and 30% based on Purchasing Power Parity, which is a more accurate measure of world economy. In July, BRICS proposed a $100bn New Development Bank to meet infrastructure and development projects at a time when the West continues to erode its role in global trade. The ongoing shift in global influence from West to East has rendered the traditional economic clout of the West, through the World Bank and International Monetary Fund, unable to meet the enormous investments that are required by developing economies in the Asia Pacific region and Latin America. Indeed, both lending institutions have become hostage to their colonialist approach to development, such as in leadership, voting rights, capitalization, headquarters, and staffing, which are all dominated by the United States. As has been observed in the past decade, this tectonic shift in global economic activity will only continue to progress to reach other economies not held hostage by the traditionally two-edged economic and political policies of the West.